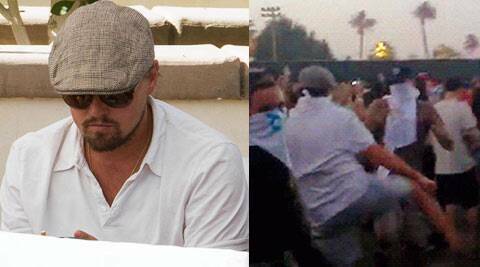 Leonardo DiCaprio seen dancing wildly at Coachella festival? A man, in similar clothes that DiCaprio was spotted wearing, is seen busting some wild moves with the crowd at Coachella Festival to popular tune Kids, reported Daily Mirror. Kesha will make Coachella appearance this year? Leonardo DiCaprio proved his dancing skills in ‘The Wolf of Wall Street’ but his best performance may have been at Coachella music festival where he was seen dancing wildly. The man, whose face is covered, is seen jumping in the air, kicking his legs around and matching steps with another dancer. A girl appears on the footage looking overwhelmed to see the dancer, thought to be DiCaprio. 3 'Star Trek 3' writers working on 'Flash Gordon' reboot?